Gold Award mentors/committee members across the state went above and beyond to support the development and implementation of the Girl Scout Gold Award program and earned the GSCO President’s Award in 2017. 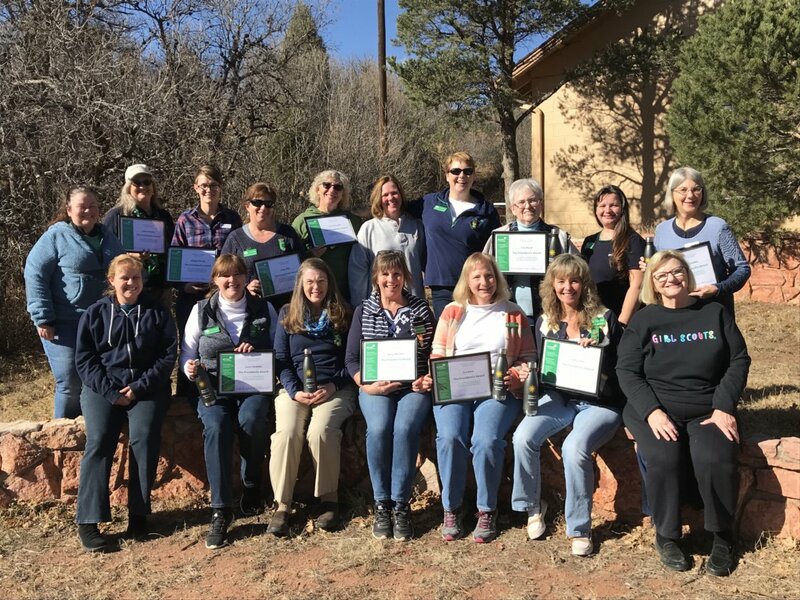 The prestigious President’s Award recognizes the efforts of a service-delivery team or committee whose exemplary service in support of delivering the Girl Scout Leadership Experience surpassed team goals and resulted in significant, measurable, impact toward reaching the council’s overall goals. The position asks that each member attend a Gold Award training and stay up to date on changes, review all project proposals, final reports, and presentation, work individually with mentees, observe girls in action, attend 75% of monthly meetings, and participate in celebrations. All members have met each expectation and exceeded expectations.